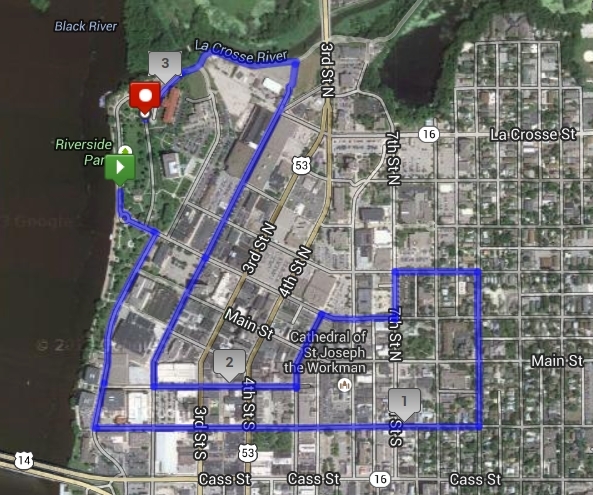 Click to view a larger picture of The Color Run Route. Any cars left along the route after 4:00AM Saturday morning will be ticketed and towed. The Color Run starts Saturday at 8:00AM in Riverside Park. Once the “NO PARKING” signs are removed, cars can once again be parked along the listed streets. Good luck to all participants in The Color Run!